Today is the feast of Our Lady of the Rosary, a feast that was erected by our Dominican brother, St. Pius V in gratitude for our Lady's protection and help during the famous victory of Lapanto. As the Monastery of our Lady of the Rosary, known around here as "Rosary Shrine," this is our patronal feast day and a solemnity. The Office of her feast which began last evening with I Vespers is rich with scripture and meditation on the rosary as the School of Mary who brings us to Jesus and shows us how to be immersed in the mysteries of the Life, Death and Resurrection of her Son as a way to become transformed and to become "sons in the Son." This is also a special feast for us because our monastery founded specifically in the praise of Mary and her Rosary was orginally founded as a monastery of the Dominican Sisters of the Perpetual Rosary, a cloistered, 3rd Order branch that was founded by Fr. Damien Marie Saintourens, OP and Mother Rosary of St. Mary, OP in Belgium in 1880 for the purpose of promoting the Rosary. Our own Rosary Monastery was founded from the orignal Rosary Monastery in Union City, NJ in 1919. 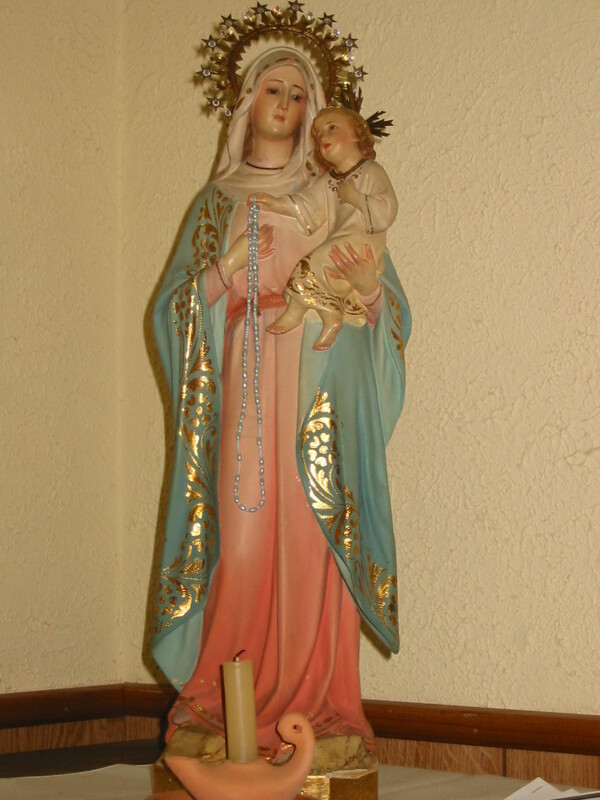 Our foundress, Mother Imelda, not only wanted to establish another sanctuary honoring our Lady and her Rosary, but she wanted this united with Perpetual Exposition of the Blessed Sacrament. Her 2nd dream was that our monastery would be fully incorporated into the Order of Preachers with Solemn Vows. Because of various difficulties, this was not fullfilled until 1955. However, from 1923 onward the community began observing the Constitutions of the Nuns until the time when they could profess Solemn Vows. Although no longer a "Rosary Monastery" by a special rescript from the Holy See, our monastery continues to fulfill the dual obligations of the "Adoring Rosary" as Nuns of the Order of Preachers.